You could walk past Coffee Hit in Thornbury's crowded High Street and not even notice it. Which is a shame, because you will have missed an outstanding coffee experience, fabulous food and friendly service. Situated below a new apartment building a few steps back from the main street, Coffee Hit's modern and spacious interior is dominated by its very own roaster. Joint owners Jerry Zhang and Neal Ma lead a happy service crew, and they certainly know their stuff when it comes to interesting food - and the coffee is to die for. 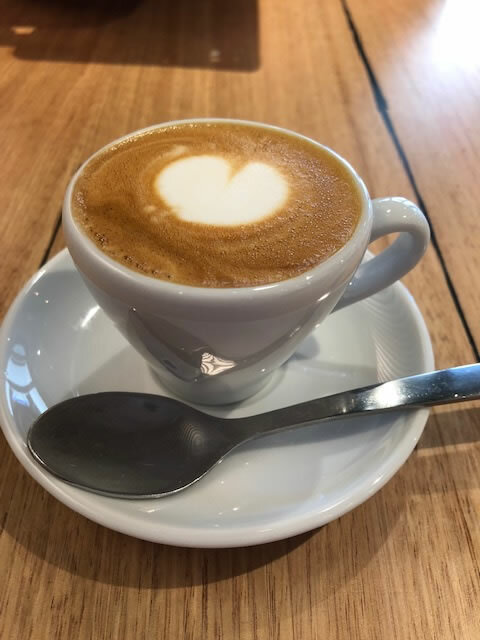 Coffee Hit hails originally from Queensland, where it had its beginnings as a mail order supplier for its roasted beans before it launched out into cafes. It now has a growing number of them in Melbourne, many of them in shopping centres. A focus on healthy dishes and great coffee that's guaranteed to be fresh thanks to those giant inhouse roasters means they're thriving, even in coffee-conscious Melbourne. A nice touch as you arrive is the complimentary bottle of Purezza sparkling water that's delivered to your table along with a menu that's not overly long but replete with plenty of innovative touches. 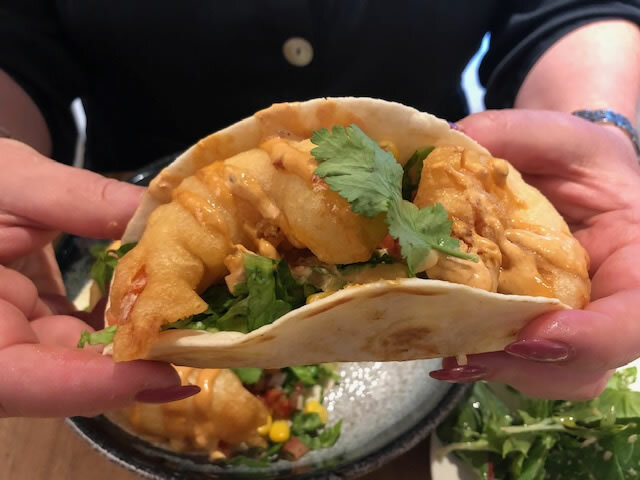 We tried prawn soft shell tacos and the southern fried chicken burger. The tacos were easy to assemble and combined some fantastic flavours. 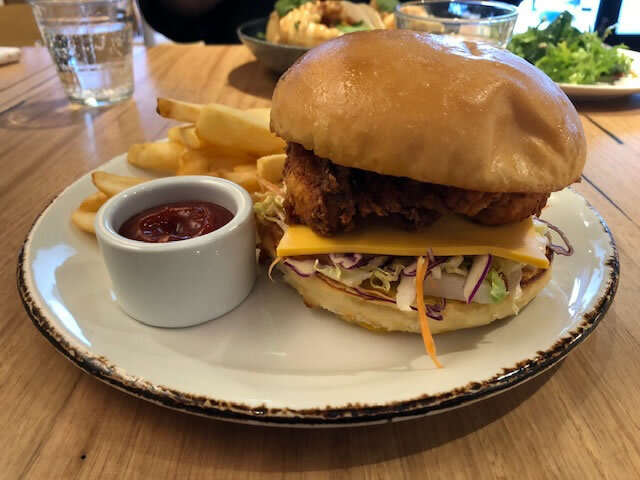 If you thought the southern fried chicken concept had been done to death, Coffee Hit Thornbury may well prove you wrong. Try the spicy sriracha mayo - it adds a whole new dimension of taste. There are some nice touches that add to the welcoming atmosphere, like bottomless brewed coffee for $5, a selection of delicious cakes, and - most importantly - some real variety in coffee. Coffee Hit Thornbury features a different bean every second month, roasted on the premises. It was Konyu from Kenya when we visited - a deep and dark offering that makes me want another cup please, right now. Monday is day-off for many of the coffee houses in the High Street strip, but Jerry says Coffee Hit will be open. That's good news for the legions of local mums searching for their Monday hit after getting their older kids off to school, and they'll be pleased to know access from the street is easy for prams, thanks to a ramp. And there's no doubt the deeply shaded outdoor eating area, which gives a slightly raised view of the bustling street, will also be popular in summer. Doggies are welcome. So next time you're walking down the Thornbury end of High Street, keep an eye out for Coffee Hit. It's cool, comfortable and bound to build a crowd of regulars once people find it and try it. We'll be back.